Unbranded Centrifuge w/ Printed Motors Limited GPM12LV - 5091 Motor & Rotors . New Life Scientific, Inc. 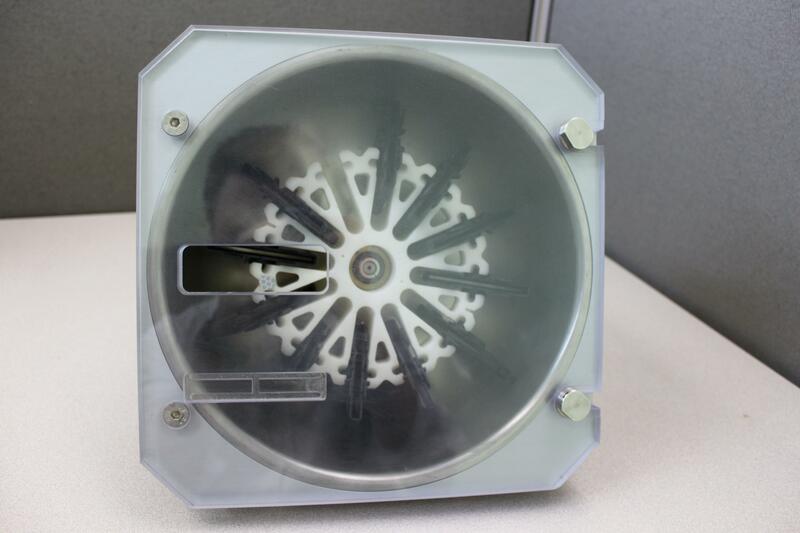 This unbranded centrifuge was removed from a non-functioning Ortho Provue machine. It has a Printed Motors Limited GPM12LV - 5091 motor and rotors. NOTE: All of the black brackets for the rotor are included, but one of the brackets for the rotor fell out and is lying in the bottom of the centrifuge. One small portion of the black cord is stripped, leaving exposed wire.